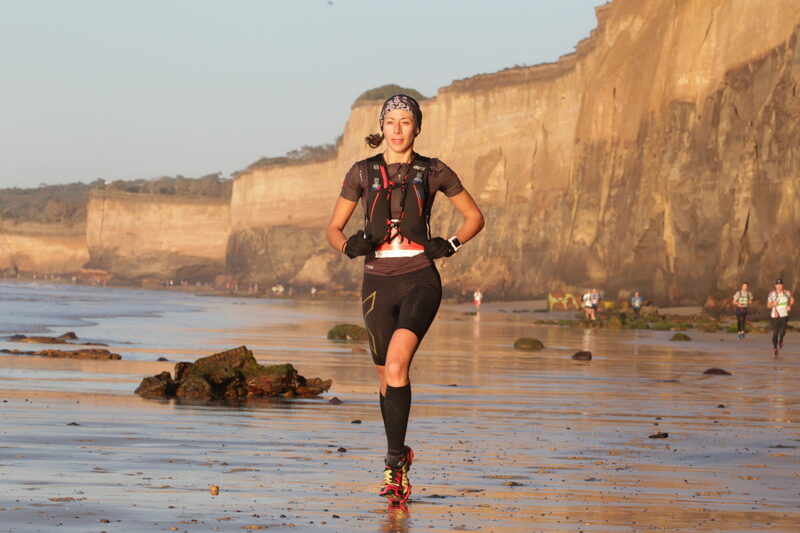 It was a record-breaking day at the 2015 Surf Coast Century ultra trail run in Anglesea this Saturday just gone with the men’s, women’s and relay team course records all broken. We got some right, others, not so right, but overall we saw some great runs from both Paul Munro and Kellie Emmerson to take out the respective titles. Paul Munro from Melbourne paced himself brilliantly for the first 75km to creep to the lead in the final leg and finish strongly, winning the 100km in 8hrs,17.08. He broke the previous individual course record by over 8 minutes, which had been set by Rowan Walker in the first year of the event in 2012. “I was seeded number one today which added a bit of pressure but I ran the whole way and was feeling pretty good. I made sure my stops were quick and just kept moving through. “It wasn’t until a couple of k’s to go that I realised I was in the running for the course record so I tried to push a bit harder to see if I could break it and I’m really happy with how it all went today,” said Paul Munro. Kellie Emmerson, last year’s female winner and current women’s course record holder, stole the show. She was untouchable as she powered through the 100km, absolutely blowing the rest of the field away. She set a new women’s course record in a smashing time of 9hrs,18.15, finishing 11 minutes faster than last year and nearly an hour ahead of her nearest rival. Not only that, she also finished third overall individual in the 100km. “Everyone has been amazing with the support on course, especially my crew, you’re awesome,” said Kellie Emmerson. Amy Lamprecht from Tasmania finished second to Emmerson in a repeat of last year’s results. Lamprecht finished in 10hrs,10.07 with Marlene Lootz from Western Australia rounding out the top three in a time of 10hrs,40.30. Behind Munro in the mens was Ross Hopkins from Mansfield in 8hrs,44.40 – who improved on his fifth placing in 2014 – and then third male (fourth overall individual runner) was Michael Rathjen, a newcomer to the event, who finished in 9hrs,21.25. 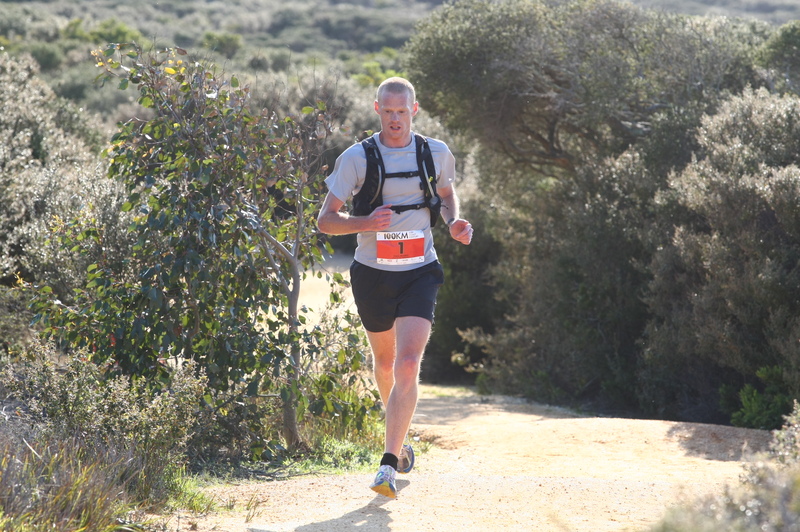 The 50km half century included legs 1 and 2 of the course which took runners on a loop from Anglesea to Torquay along the beach and then back again via the coastal hinterland trails and Surf Coast Walk. New Caledonian runner Cocherau Oswald took the field by surprise and won the event in just 3hrs,33.03. In second was Tim Oborne from Queensland and then Fergus Koochew. In the women’s event nobody stood a chance against former World Orienteering Champion Hanny Allston from Tasmania who had a clear win in 3hs,43.56. Behind Allston was Karen Sharman and in third was another visiting New Caledonian, Plaire Angelique. Appetite for the Aussie 100 miler?